AIF Capital began in 1994 as a collaboration of five international financial institutions that included the Asian Development Bank and International Finance Corporation. 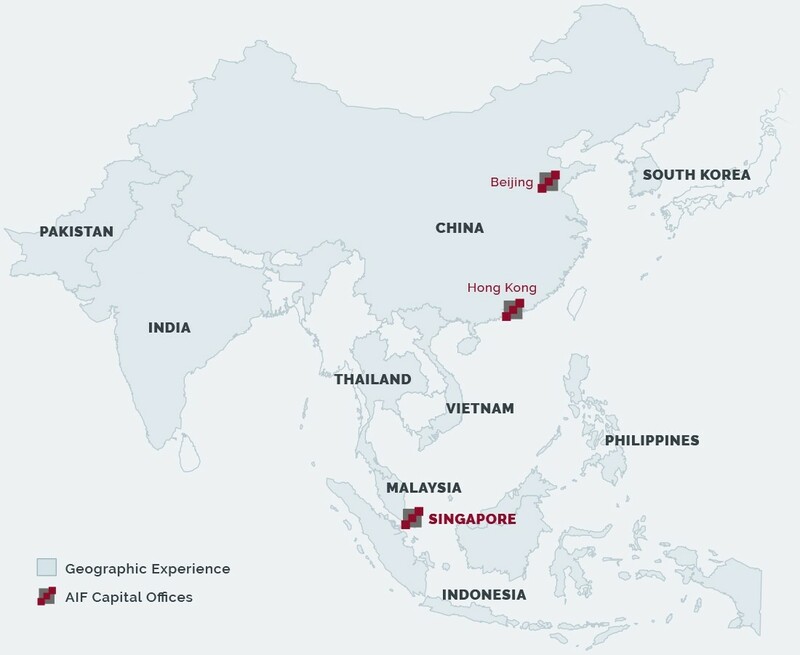 Since becoming independent in 2001, we have been focused on providing growth capital to mid-market companies across Asia. In that time, we have built a reputation for being thoughtful, different and effective in what we do. Through our four funds, we have established a track record of successfully implementing a cross-border Asia-regional strategy of identifying and growing inflection point companies across multiple economic cycles. We made our first investment in China in 1994 and in India and SE Asia in 1995. Headquartered in Hong Kong with offices in Beijing and Singapore, we operate as one regional team with presence on the ground providing local coverage, deal access and execution capabilities in China, India and Southeast Asia. We have deployed over US$1.8 billion of capital in 46 investments across ten Asian countries since 1994. Our sector experience includes healthcare & pharmaceuticals, supply chain management, equipment leasing & logistics, consumer, bereavement care services, financial services, and industrial manufacturing. Since inception, we have received investor commitments in excess of US$2.0 billion. Investors in AIF Capital-managed funds include major corporate and government pension and investment funds, insurance companies, financial institutions, as well as multilateral agencies and family offices from North America, Australia, Asia, the Middle East and Europe.